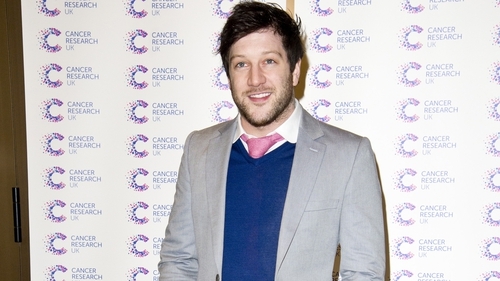 Former X Factor favourite Matt Cardle has opened up about his battle with drug addiction that almost ended his life. He won the ITV talent show competition back in 2010 but success was fleeting and within two years he was dropped by record label Sony. The drug problem began after Cardle injured his finger and became hooked on the painkiller Tramadol – which is also known as 'Hillbilly Crack'. "I wasn’t that injured, I didn’t really need it. I started eating Tramadol for fun if I’m honest," he told The Sun. Things spiralled downwards for the singer, who admits that he often brushed with death before he began to dig himself out of the mental hole he'd fallen into as his career collapsed. "I didn’t realise because a lot of it was on my own," he admitted. "I would wake up in various parts of my flat, in the toilet, in my bedroom, on the bed, off the bed, in the lounge, and it would always be like, 'Oh that’s where it ended'." Now 34, the singer also admitted that he began taking potentially dangerous concoctions of valium and alcohol, noting: "The first time I did Valium was on a flight to LA and that was it." "Valium and alcohol are lethal together anyway," he added. "It’s a muscle relaxant and your heart’s a muscle." Things came to a head when Cardle got into a physical altercation with his drug dealer in 2013, at the Jingle Bell Ball in Belfast. "I was completely addicted," he admitted. He was in such a state his dealer refused to give him any more. Cardle said: "I came and met him and he just saw the state I was in because I didn’t have any and then he went, 'No, I’m not going to give them to you'." Currently, Cardle is working on revitalising his music career. He’s now clean and preparing to release a fourth studio album, Time To Be Alive, which is due for release next month.